Sleep apnea can add extra stress on your heart. By treating sleep apnea, you can potentially protect yourself from hypertension, coronary artery disease, cardiac arrhythmia, congestive heart failure and sudden death. Sleep apnea’s stress on the heart should not go ignored. Take a look at the infographic below to learn more about sleep apnea and stress on the heart. 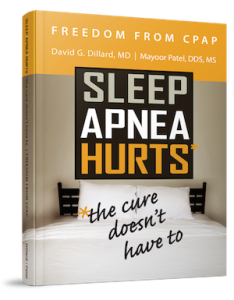 For more information on treating sleep apnea, please contact Dr. Patel at Craniofacial Pain & Dental Sleep Center of Georgia. We are here to help protect you from further complications associated with untreated sleep apnea.